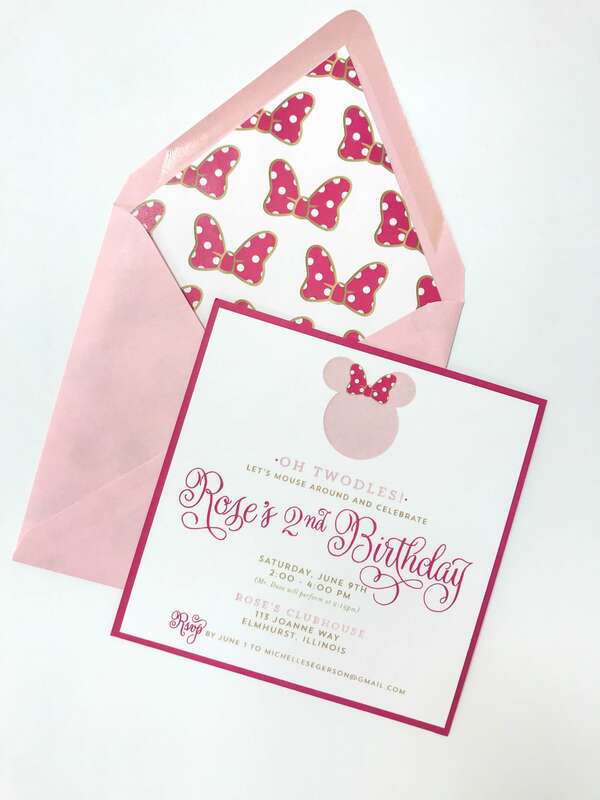 Once the tone and colors were set, we were off to the races with Minnie Mouse swag! 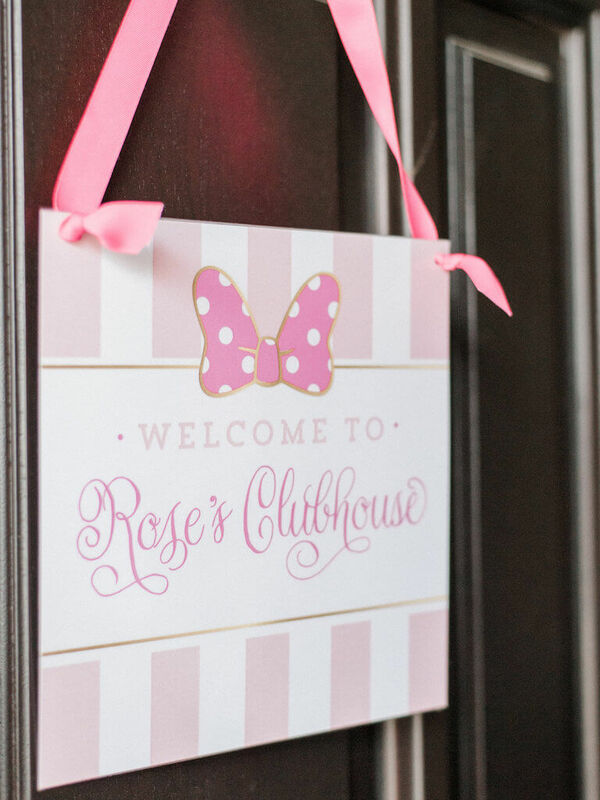 We designed an adorable door sign to welcome party goers to “Rose’s Clubhouse” as a nod to the tv show. 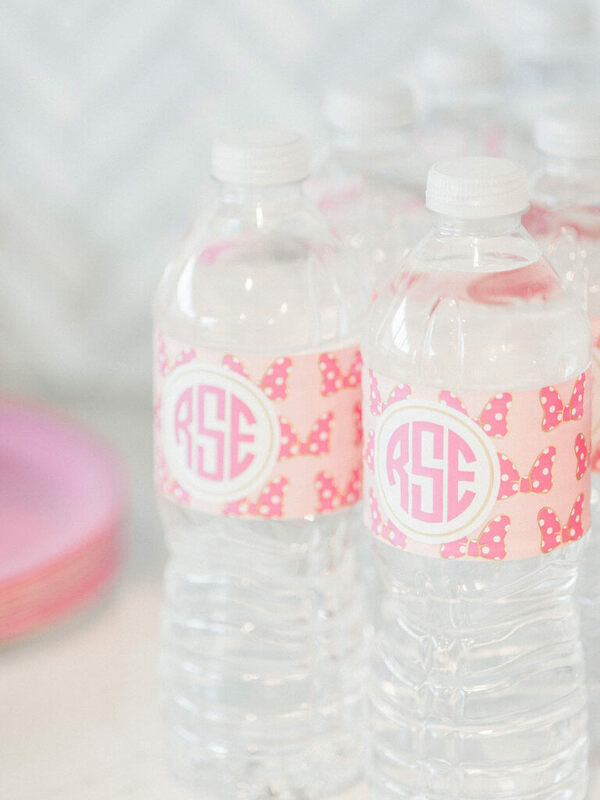 Custom waterbottle labels accompanied amazing desserts including ear shaped cookies and a spectacular three tiered Minnie Mouse cake, topped with ears! 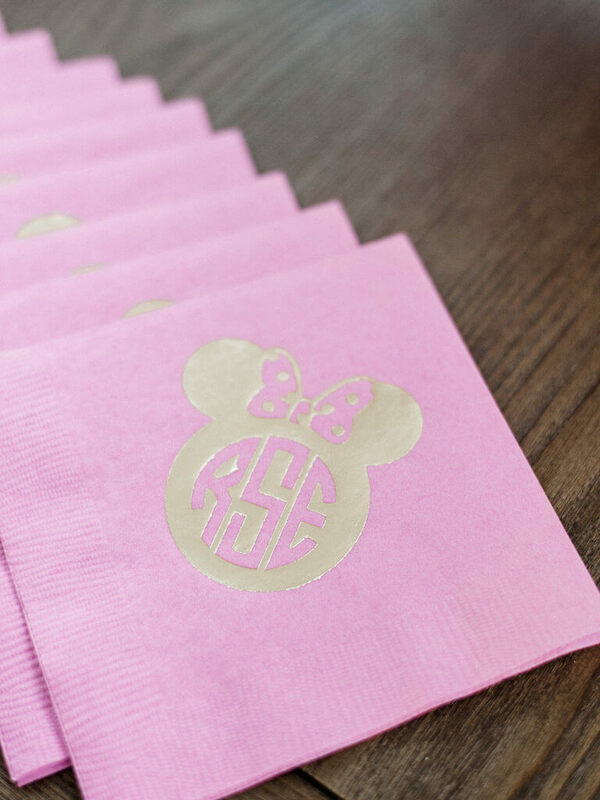 The table was set with custom Minnie Mouse plates, cups, and napkins foil stamped in gold with Rose’s monogram! Shades of fabulous pink peonies adorned the table as well! 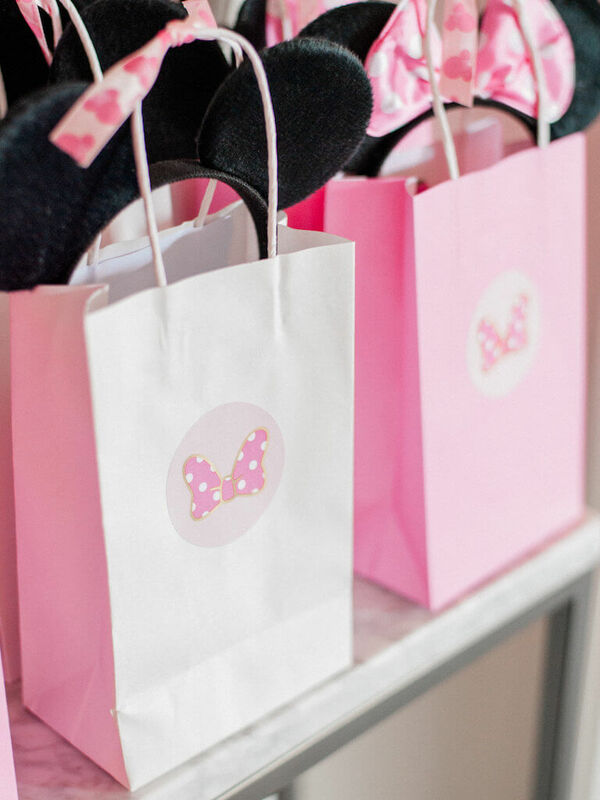 Guests were given goodie bags topped with Minnie ears of course, and stickers were on each bag in the same polka dot ears as we used on the invitation! 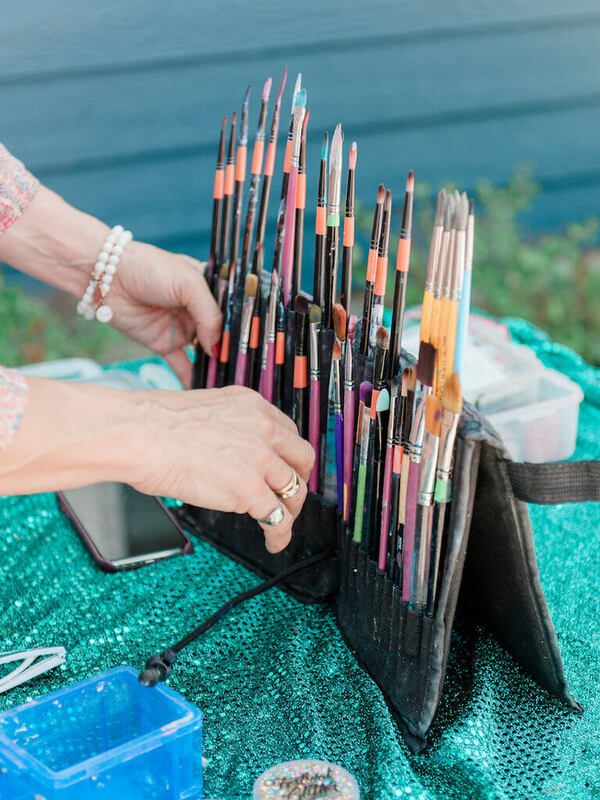 Hula hoop and face painting were hits of the backyard activities! 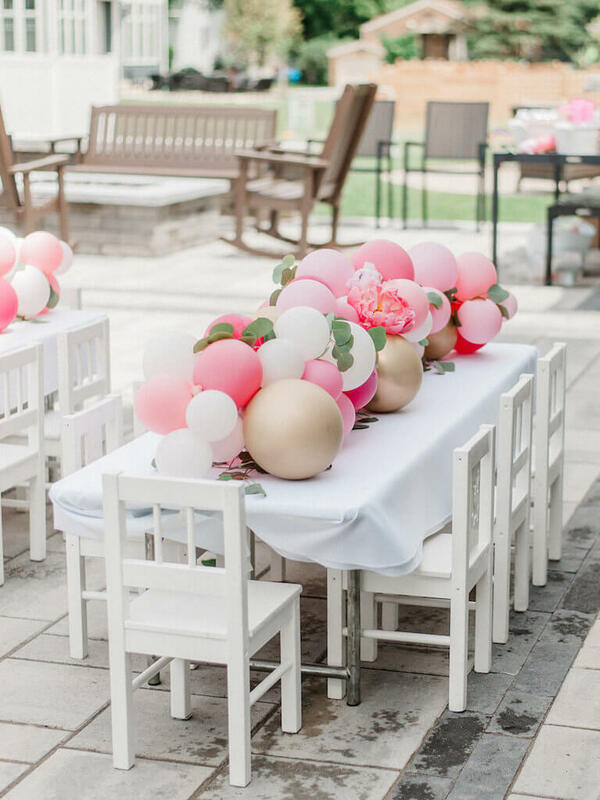 We cannot get over the balloon centerpiece Rose’s mom used on the kid table! 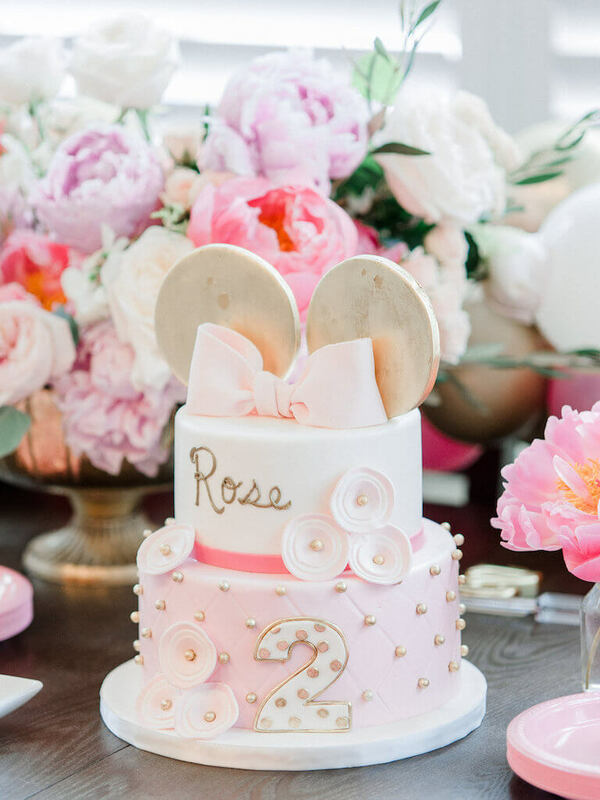 For more of this pink and gold Minnie Mouse Birthday, you can view the full gallery here! Fun fact; Rose’s parents were married a few years ago, and were one of our Couture couples! 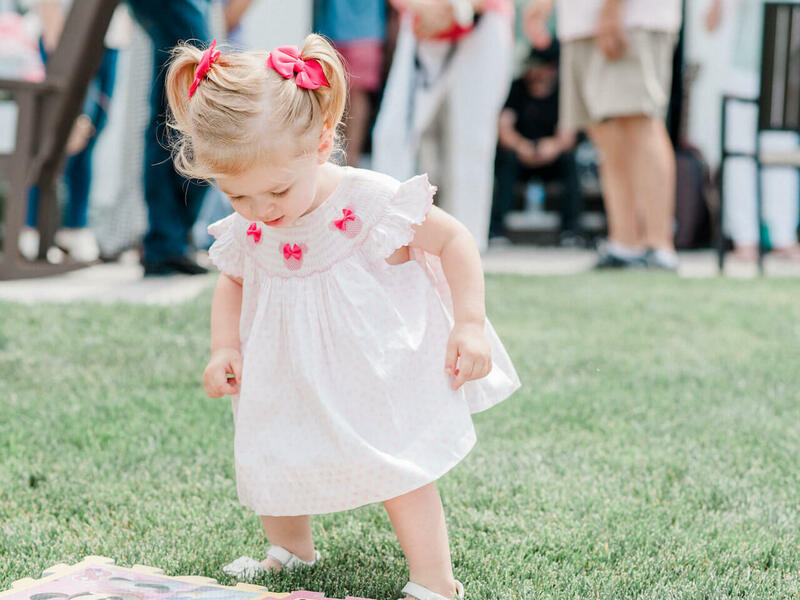 To see more from their stunning downtown Chicago wedding, click here!